To our incredible learners, parents, teachers and every single person who attended our award ceremony last week – thank you! To all the hands who helped, and to the excited crowd who came to support our school and – most importantly – our amazing students, thank you so much. There was such a sense of excitement last Wednesday, and huge sense of accomplishment for what our growing school has achieved in one short year. We go forward from here with even more certainty about the exciting future of Bizweni Primary School, and we cannot wait for all that 2017 holds. The stars of the show were, of course, our learners. The event started with the graduation ceremony of our bustling Grade R Class, which has now become part of Bizweni Primary School. 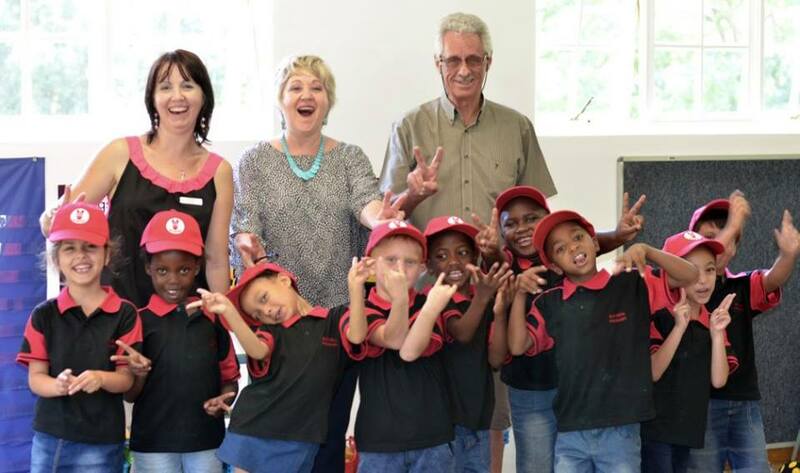 In the past, this ceremony has been part of Bizweni Pre-Primary’s End of Year Concert, and has always been an incredibly special moment for our young learners and their parents. 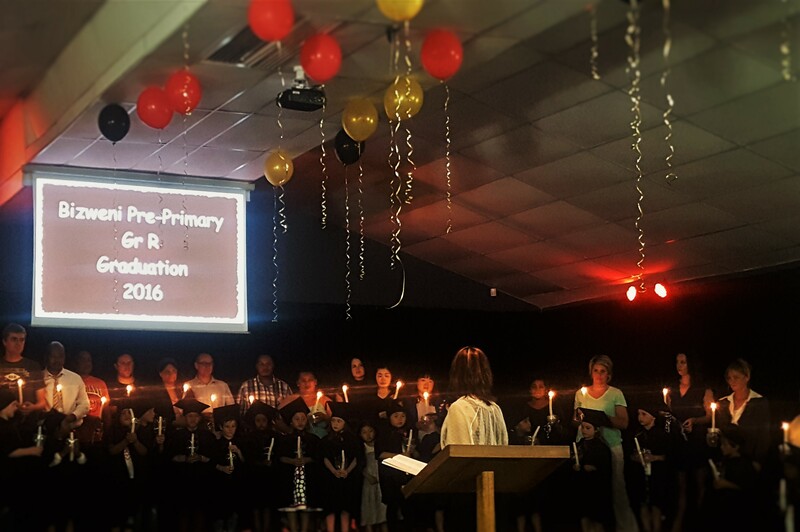 This year was no exception: the crowd watched raptly as a parent of each graduating Grade R child was invited on to the stage to light the candle carried by their child, to mark the end of their pre-primary career, and the beginning of an exciting new chapter in their young lives. After this, we celebrated our Grade 1 class. We have seen each child grow and exceed expectations under the nurturing attention provided to them in their small class. We see in each of them the qualities of future leaders; qualities that we intend on encouraging and build on in the years to come. Congratulations to Nicolai, who received the DUX pupil award for overall excellence this year – your future is so bright! This special event also gave our new principal a chance to introduce herself. From next year, the principal of Bizweni Primary School will be Leoni Kirchner, whose refreshing approach to education is perfectly aligned to the vision and mission of our school. Leoni has many years of teaching experience in a large school, and has previously had to deal with classes of well over 30 students. Her experience has imbued her with an awareness of the ways in which traditional education is falling short of what many of our children need. We are thrilled to have her on board, and excited for her to be a part of the foundational development of Bizweni Primary School. Please feel free to contact us should you have any inquiries regarding enrollment for 2017. Our First Year, Done & Dusted!